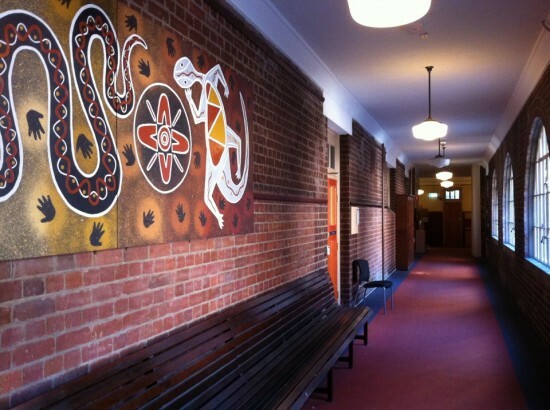 At the end of last semester, Deputy Vice-Chancellor (Indigenous Strategy and Services) Professor Shane Houston enacted a series of changes that will lead to the closure of the Koori Centre. A Facebook group called ‘Save the Koori Centre’ quickly garnered more than 250 concerned students, community members, and alumni, describing itself as ‘a non-autonomous group for the discussion of the university’s decision to close the Koori Centre’. Since then, much confusion has arisen as to the actual fate of the Centre, with the university stating that it is not closing, but rather undergoing a radical reconstruction process. Regardless, both Indigenous students and other students studying at the centre continue to be outraged at their treatment throughout this process, as they believe they have been left completely in the dark about changes that could effectively mean the dismantling of their student support services and the abolition of subjects such as Indigenous Honours. The changes are being conducted under the auspices of a new Aboriginal and Torres Strait Islander strategy called ‘Wingara Mura- Bunga Barrabugu’, launched during STUVAC last semester. The biggest change is the breaking up of the support staff from the Koori Centre into various ‘satellite centres’, where each faculty will be encouraged to create a ‘mini Koori Centre’ to look after Aboriginal education. This is ostensibly meant to ensure greater integration of Indigenous education and issues across the university. Students are mostly concerned about the decentralisation of support and the lack of consultation with students throughout the process by Professor Houston, who was appointed last year as part of the new strategy. Indigenous Student Representative for the SRC Narelle Daniels said: “Shane has completely disregarded the students’ needs and has little understanding of how the sense of community that is engendered by the Koori Centre benefits the university. All of our attempts at talking to him have been met with rudeness and condescension and he has blatantly told me that ‘these changes are not about the students’.” According to Ms Daniels, the dismantling of the Koori Centre began when the main student support officers were moved out of the Koori Centre to the Jane Foss Russell Building in August last year. Although students and community members undertook a letter writing campaign to stop this, the officers were still moved. Despite widespread confusion as to the implications of the new strategy, Professor Houston has pushed back consultation with students until the end of August – after the changes have been implemented. In fact, no students – and only a few of the Koori Centre staff – were invited to the launch of the new Indigenous Strategy where guests included Senator Chris Evans (Federal Minister for Tertiary Education, Skills, Science, and Research) and the university Chancellor Marie Bashir. At the time of writing, Professor Houston could not be reached for comment.